All of our underfloor heating designs are carried out in-house by our team of knowledgeable designers, all of which have on site experience making them very aware of the situations and difficulties that some sites can encounter. Our underfloor heating designs are fully backed by liability insurance. This coupled with our own installation teams, makes for an extremely professional and trouble free installation. Our design team are always available during office hours to answer your design queries and they are also highly trained in the technical aspects of underfloor heating. So should you require any assistance, please contact us. The performance of an underfloor heating system depends on many factors and no two buildings are the same, the calculations are complex and it is important to get the design right first time. 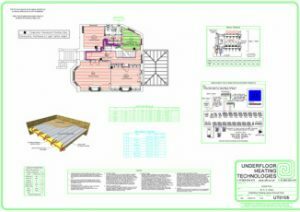 That is why Underfloor Heating Technologies take full responsibility for the design process by using up-to-date, industry leading computer software which has been specifically designed for the heating profession to produce a fully modelled underfloor heating layout drawing for each project. We offer a range of solutions for different floor constructions from standard screed floor installations to joisted floors to floating floors and depth restricted low profile solutions for retro fitting underfloor heating. 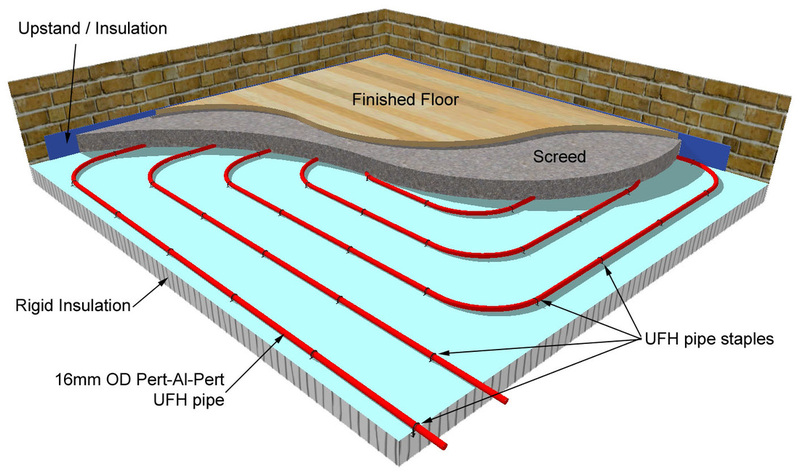 Click here to see examples of some of the different underfloor heating systems we use. We also offer a choice of underfloor heating controllers in high or low voltage and wireless options also available. 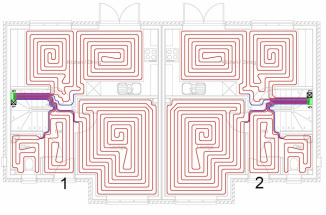 Click here to see the different underfloor heating controls that we offer. Underfloor Heating Technologies create fully modelled underfloor heating designs for every project. With a range of control options we can supply an underfloor heating system that is suited to your needs. Underfloor Heating Technologies offer a range of services for existing underfloor heating systems including diagnosis and repair of manifold issues, thermal imaging surveys and leak finding and repair. 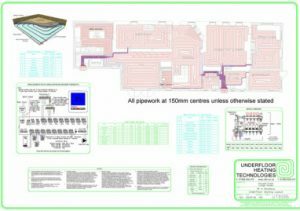 Detailed information on our most used underfloor heating system types and manuals for our underfloor heating materials and controls.